The word viral has recently gone through a period of virality itself—very meta, we know. Webster’s dictionary officially recognizes the word as rapid and widespread sharing via the internet. Thanks to the internet and the virality that came with it, traditional barriers to reaching millions of consumers have been shattered. The theory of Six Degrees of Separation, or that every person on the planet can be reached within six friends of friends within your network, almost feels overstated. Simply put, the viral coefficient is the number of new users the average customer generates. The viral coefficient is not simply the number of referrals a customer makes, it’s the number of those referrals that convert into customers. This is good news. A viral coefficient of 2 means that every customer you acquire will bring in 2 more customers. A viral coefficient above 1 is advantageous to your customer acquisition costs because as users join through word of mouth and other unpaid channels, the CAC declines. All press is good press, right? Does this mean all virality is good virality? It’s great that customers are talking about you, maybe even feeding the fire of network effects. Virality can, however, have some negative side effects. If you experience rapid growth as a result of viral marketing and a meaningful increase in your viral coefficient, it could lead to a decline in overall quality as resources are stretched thin. Think products going out of stock, manufacturing ramping up to meet demand, and quality taking a back seat. Mobile apps and other software products can better handle the boost from viral loops, but they are still imperfect. 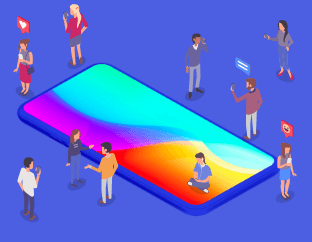 If you do not have the capacity to serve an increasing number of users, once the floodgates open, the app will crash and new customers will not have the experience that they came for. Imagine your friend invites you to Disneyland, but when you arrive wait times are 2+ hours, rides break down constantly, and run at half their usual speed. Are you going to refer another friend? No chance. Stay calm and viral on? Not exactly. Imagine this scenario. Exponentially more users are engaging with your app with every passing day. But before you pop the champagne, you realize it’s placing immense pressure on computational resources, causing an increase in technical issues and bugs within the app. Now you’ve got added pressure on support staff. These are the early stages of the viral spiral. 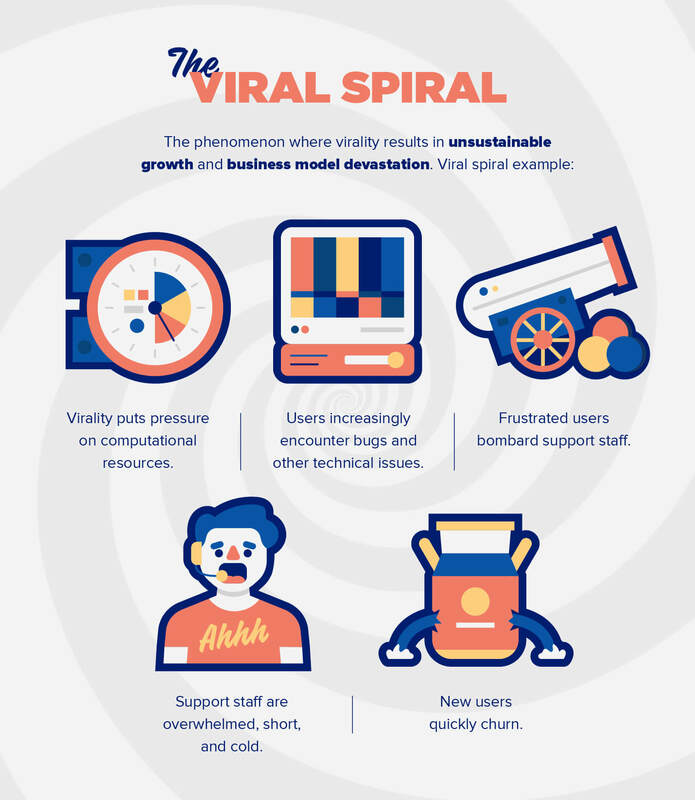 Apps need to prepare for the possibility of the viral spiral by taking precautions to accommodate ever-increasing groups of users. Mobile and web apps need servers with dynamic scaling to increase available computing power with every incremental, or in the case of virality, step function increase in users. Another casualty of the viral spiral is customer support. As support staff is bombarded with customer issues, the patient and caring approach to support can be replaced with hasty and cold service. Customers no longer feel the human connection to the company which can reverberate through your viral coefficient. Viral marketing takes a nurturing approach to growth, with the intention of steadily increasing the viral coefficient over time. Some companies bake virality into their products. 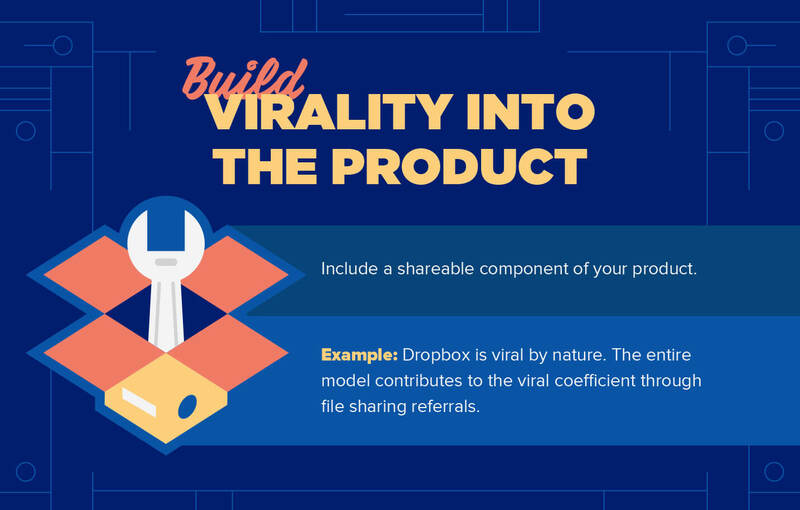 Take a product like Dropbox, for example. The entire business model is based on file sharing. So when one person uploads a file to Dropbox with the intention of sharing with a colleague, the viral coefficient is a baseline of 1. Most companies include buttons for social sharing almost as a default, but this is rarely enough for a meaningful increase in the viral coefficient. If your business model is not viral by nature, building in a viral component, such as a mutually beneficial referral program, is essential. And by mutually beneficial, we mean both the referring and the referred parties receive value for the referral. Having a viral coefficient greater than 1 is a great signal for the business’s prospective future. Unfortunately, your viral coefficient is about equal to the number of seconds you have to convince your latest prospect to stick around. The cold hard truth is it’s a battle for attention out there. It is your duty to get the user to the magic moment of understanding your value-add within seconds. Having an easy to understand value proposition is important but making it an obvious “a-ha” is vital for viral. Viral Coefficient in Context: How Reliable is Viral? Ready to lean on your viral coefficient in your strategic planning? The viral coefficient is a great indicator. But it’s just that: an indicator. This is not the solution to the problem, it is only one part of the equation. A strong viral coefficient means there is a market for your solution and people find it useful enough to share with their friends and colleagues. Unfortunately, one metric is not enough to rely on for growth — especially one that is susceptible to the impulses of virality. Trying to use one metric as a crystal ball for your business is like trying to predict stock market performance based solely on unemployment rate, retail sales, or any other single point of economic data. Even though the viral coefficient is not the end-all and be-all, it’s still worth your attention and optimization. So what can be done to grease the wheels? It’s important to think about how users will share the product with their networks. Many companies have successfully grown their viral coefficient using this strategy. This does not necessarily mean you need to rebuild your product. Even simple referral programs, such as email newsletter forwards, can be a great way to build virality into the product. Let’s say you send out a monthly or weekly newsletter that provides quality content users find engaging. Giving users the opportunity to forward the email can be a source of energy for your viral coefficient. If there is a reward, even as small as stickers or a shirt, users will be more likely to actively refer new readers, users, and ultimately (hopefully) customers. This harkens back to the viral spiral discussion. It’s important that your technology stack is prepared to scale and meet the needs of an increasing number of users. Distributed cloud computing networks such as AWS have made it easier than ever to build scalable products. Cloud computing offers the ability to scale up and down based on capacity in real time. If, for example, you experience a one day increase in app usage, your infrastructure will scale to meet that demand. One way to incentivize both the referral and the acceptance of said referral is to extend a two-sided offer. If you have a food delivery app, for example, a referral program offering free delivery to the referring person and the person being referred will almost certainly increase the number of converted referrals. Many businesses have used programs just like this to grow their viral coefficient. Zero-fee stock trading application Robinhood offers one free share of stock to both the person referring and the new signup being referred. People love to talk about one topic more than any other—themselves. Give users an easy way to show the world of social media how the product is impacting their lives. An easy-to-understand visualization of usage stats can be a great way for users to organically share your product with their network. Fitbit, for example, provides users with a dashboard of their steps, miles, minutes, and calories burned, which makes it easy to boast about daily health and fitness achievements on social media. When customers share their experiences on social media your viral coefficient stands to benefit. Apps that are addictive to use typically experience a boost in organic social media shares and the simultaneous viral coefficient boost. Check out our whitepaper on how appealing to human psyche can help you create the next addictive app.